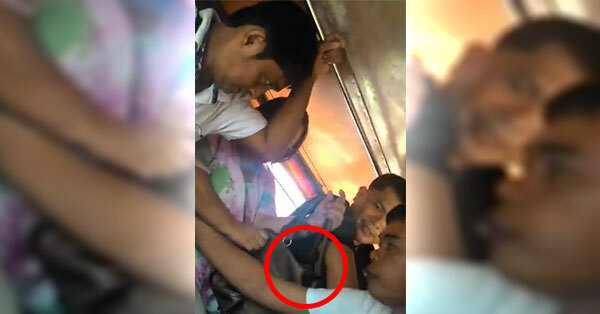 A video captured how a group of thieves executed their modus operandi inside a jeepney. Share it so your friends and loved ones would be aware. Reposted by the Facebook fan page for "It's Showtime" host Billy Crawford, the 57-second clip taken by a netizen identified only as Nhel was uploaded late Wednesday evening. According to Nhel, the incident happened around 8 a.m. last Monday, June 29, along M. H. Del Pilar corner United Nations Avenue in Ermita, Manila. In the video, two men can be seen distracting the target's attention. One of the suspects pretended that he was trying to reach for something beside another suspect, while the pickpocket at the left side of the victim was silently stealing the wallet from her bag. The target may have noticed the modus operandi so she immediately got off, but it was too late. According to the uploader, the pickpocket was able to take the woman's orange wallet. Nhel said he saw that the third suspect opened the wallet to see the undetermined amount of cash inside it. After which, the pickpocket allegedly passed the wallet to the fourth suspect (a woman) before they disembarked the jeepney at Padre Faura. The viral video got 4,000 combined likes and shares, and over 75,000 views in just four hours.